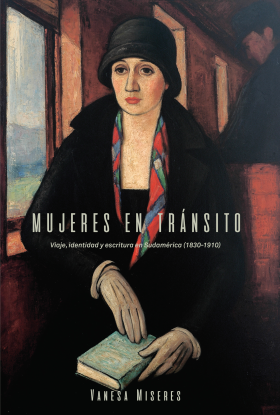 Faculty Fellow Vanesa Miseres has received the honorable mention for the Victoria Urbano Critical Monograph Prize, awarded annually by the Asociación Internacional de Literatura y Cultura Femenina Hispánica, for her recent book Mujeres en tránsito: viaje, identidad y escritura en Sudamérica (North Carolina Studies in the Romance Languages & Literatures, 2017). In the book she examines the accounts of four prominent female writers who traveled to and from Latin America in the 19th century, demonstrating how the women’s commentaries speak to their engagement in the project of modern citizenship. The act of traveling, she finds, often helps female authors challenge political, legal, and geographic conceptions of nationhood and national identity. The authors whose travels she explored include French Peruvian socialist and activist Flora Tristan (1803–44), the Argentines Juana Manuela Gorriti (1816–92), Eduarda Mansilla (1834–92), and the Peruvian Clorinda Matto de Turner (1852–1909). According to Miseres, the recognition the book has received is particularly meaningful in its timing. “Today, as women seek empowerment under cries and movements such as ‘Me Too’ or ‘Ni una menos’ (Not One Less), I am happy that a work focusing on gender issues and on a group of women who challenged traditional and restrictive gender roles in the 19th century gains visibility and appreciation,” she says. An assistant professor of Spanish, Miseres specializes in 19- and early 20-century Latin American literature, with an emphasis on South America. Her new book project focuses on Latin American women writing on war, from the Latin American independence period to World War II. The Asociación Internacional de Literatura y Cultura Femenina Hispánica is a long established association in the US that focuses on gender studies and women’s literature and publishes the prestigious academic journal Letras Femeninas.